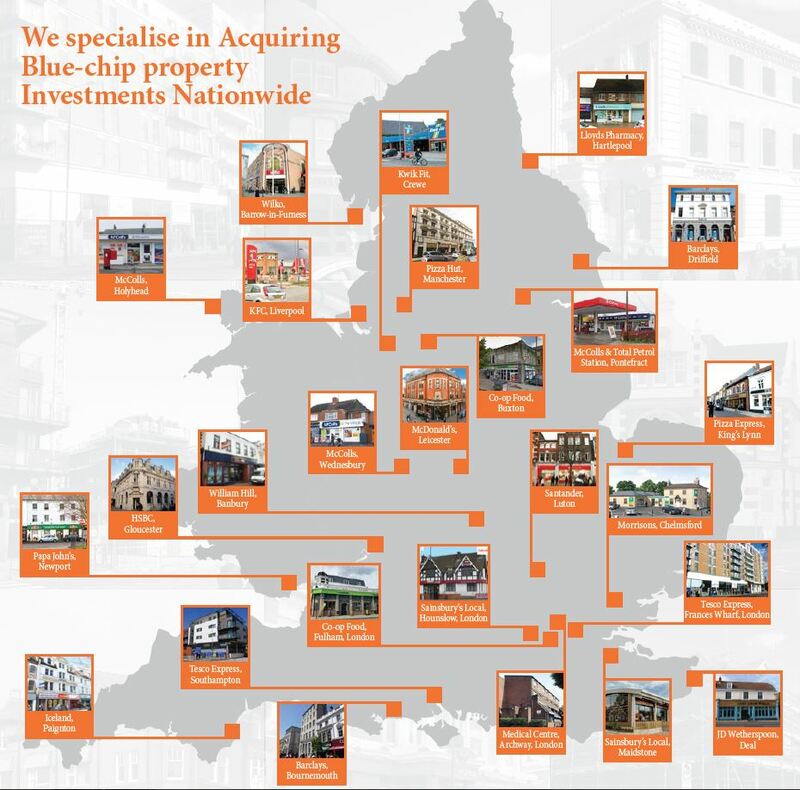 We specialise in buying commercial properties for private investors, and have done so for 30 years. With our expertise, network and reputation for delivering in the world of commercial property auctions and private treatise, it pays to work with us to source your ideal investment. You can learn more about our Acquisition service by watching this short video on our Youtube page. Register your investment requirement by filling in our form here to receive our latest deals tailored to your preferences. Use the Search tool on our website to find properties that fit your criteria. Even if they aren’t for sale, we can source similar deals. Read our Auction Analysis blog, a regular feature which gives the inside scoop on the top deals we have done in the auction room. Reply to our emails / missed calls! When the deals come they don’t wait & even if you don’t like an opportunity, let us know why so that we can refine our search. Are you a first-time commercial property investor? If so, don’t worry! Not only can we find you a secure investment that fits your requirements, once we have agreed a deal (or even before), we can recommend an excellent (and reasonably-priced!) Solicitor to perform the necessary legal due diligence and assist with arranging Finance too. We can guide you on structuring the transaction via our in-house Accountant, this could involve setting up a Limited Company or Registering you for VAT. We will monitor the transaction from start to finish, and once acquired, we can take care of the Management and Insurance of the property, leaving you enjoy the income and focus on your next investment! Where can I see examples of deals you have done? Are you / your funds based outside of the UK? Then you are in the right place. Foreign buyers often are looking for a particular type of investment, which we can certainly find. They also need a trusted partner on the ground to look after their investment. Our dedicated Foreign Investors page details our service offering for overseas buyers which includes Accounting, Tax & Legal services in addition to our Management service – we can literally take care of everything! Have you thought about buying in auction? Many buyers fear auction lots – is there something wrong with them? Why so many last minute addendums & guide price changes? And why do all that work to only be outbid every time?! Fair enough, but having bought and sold thousands of properties in auction over the years, we can guide you through all this and even bid on your behalf to avoid overpaying. Visit our dedicated Auctions page to learn more about this unique service. Our acquisition fee is usually charged as a small percentage of the purchase price, but this varies from deal to deal and is subject to a minimum charge. When we send you a deal, the price offered will be inclusive of our fees or our fees will be clearly stated. We do pride ourselves on offering a premium investment service and our fees are justified by our efforts to source quality and deliverable investments, negotiate the lowest price and work with you throughout the acquisition process, which is not always straightforward! If we are marketing a property on behalf of the seller, we won’t charge an acquisition fee, but in that scenario we are acting for them and looking for the highest price. Can you assist me post-acquisition? Of course. We can Insure your property on completion or take over the full Management of it. We will list your property on our globally-marketed website as Acquired, as it is not uncommon for clients to sell for a large profit if the right offer comes by. Today we are helping clients Sell, Re-Finance or do Rent Reviews on properties we acquired for them 10 – 20 years ago, ours is a long-term relationship fit for a long-term investment. To discuss our acquisition services in more depth please contact Vishal on vishal@prideviewproperties.co.uk or 0203 113 2141.